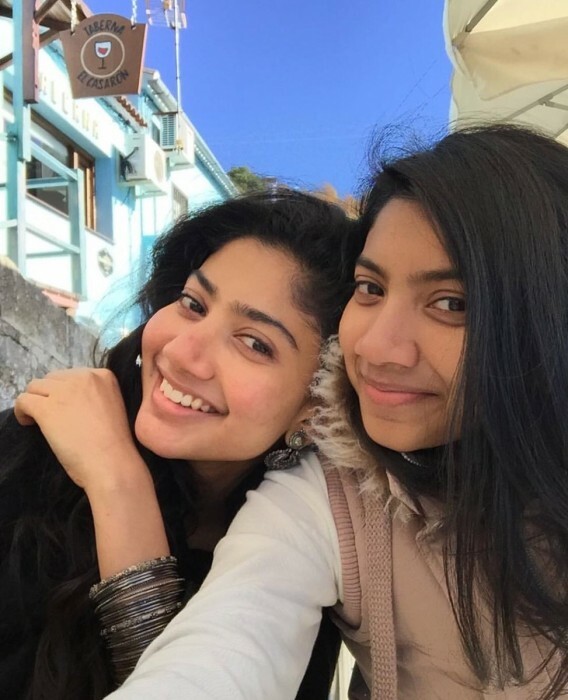 Sai Pallavi and her sister seem to be bonding with each other like never before. In 2015, the beautiful Sai Pallavi made her big screen debut in the most emphatic way possible when ‘Premam’ became a runaway hit at the box office while earning rave reviews along the way, Directed by Alphonse Puthren and touted to be a romantic musical-drama, it featured Nivin Pauly as the male lead and became the talk of M-town courtesy its breezy plot and sincere performances. The very next year, Sai Pallavi acted alongside heartthrob Dulquer Salmaan in ‘Kali’ and added anmother successful film to her kitty. Not one to rest on her laurels, she added a new dimension to her career this year when she entered Tollywood with the romantic-drama ‘Fidaa’ and became the newest heartthrob of T-town. 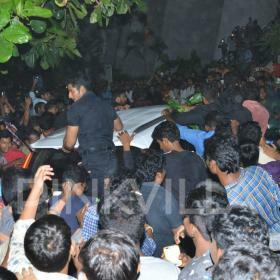 A Shekhar Kammula directorial, it also had Varun Tej in the lead and became a sleeper hit. In ‘Fidaa’, she essayed the role of a lovable girl from Telangana and won the heart of numerous movie buffs thanks to her innocence. Speaking about the film’s success, she had said that she was quite ‘overwhelmed’ by the response to her portrayal of Bhanumathi. She had also added that ‘Fidaa’ made her fall in love with the Telangana accent. Now, Sai Pallavi is in the limelight again and that too for an awesome reason. As it so happens, the lovely lady is in Spain these days to wrap up the shoot of her ‘MCA’. And, it seems that she is enjoying herself a lot in Spain. While bonding with her sister, she recently posted some pics on Instagram and gave us some major sibling goals. In the photos, the lovely ladies can be seen enjoying themselves and bonding like never before. Needless to say, both ladies look gorgeous and make hearts skip a beat. In case you did not know, ‘MCA’ is a drama and has been directed by Venu Sree Raam. In it, Sai Pallavi will be seen alongside the ‘Natural Star’ Nani. Slated to hit screens later this month alongside Akhil’s ‘Hello’, it has already created quite a buzz amongst fans courtesy its teaser and could turn out to be a winner. During its press meet, producer Dil Raju said that Nani-Sai Pallavi’s chemistry will be the USP of ‘MCA’. “Middle Class boys & girls will own this film. Nani and Sai Pallavi’s chemistry will be a treat to watch. Very happy that Bhumika is playing a pivotal role in this film. We are confident that MCA will complete our hattrick list in 2017,” he added. Interestingly, he also spoke about the MCA-Hello clash and said that both films will do well at the ticket window. “Akhil’s Hello visuals are fantastic. I wish Telugu audience will love both MCA & Hello for this Christmas,”he added. On a related note, this is a busy time for Sai Pallavi. Besides ‘MCA’, she also has ‘Karu’ and ‘Maari 2’ in her kitty. ‘Karu’ is a horror-thriller and will see her play the role of a young mother. The film has been directed by AL Vijay and also has Naga Shaurya in the lead. Its trailer was released a few days ago and it became the talk of K-town in no time. Sometime ago, its director had said that Sai Pallavi has done a terrific job in ‘Karu’. He had also revealed that the film will revolve around a sensitive subject. “It is an intense subject and focuses on the bond between a mother and her four-year-old daughter. Sai Pallavi essays the mother. I was very happy when she came forward to dub. 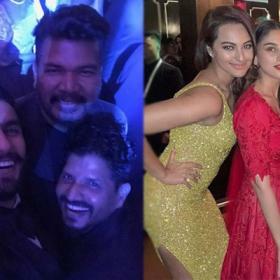 This will enhance her role multiple times,” the director had added. As far as ‘Maari 2’ is concerned, it is a sequel to ‘Maari’ and has Dhanush as the male lead.